On January 10, 1952, five songs were waxed: "Shrimp Boats," "Trust In Me," "A Scandal," It's Over Because We're Through," and "It Ain't Gonna Be Like That" (written by Mel Torme and Frankie Laine). 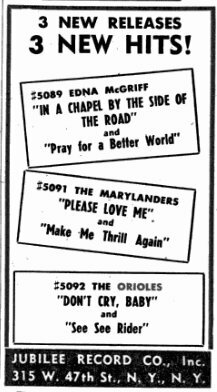 A week later, on January 17, the Orioles recorded four more: "Gettin' Tired, Tired, Tired," "Pretty Pretty Rain," "Why Did You Go," and "This I'll Do My Darling." In addition, Sonny's "Proud Of You" solo was laid down. The next night, it was up to the Frolics, in Boston, for a week's engagement. In February, Jubilee released "Shrimp Boats," a cover of the Jo Stafford smash, which was still on the charts at this time. The tune wasn't really in the Orioles' vein, and probably shouldn't have been done by them at all. Its flip was "Trust In Me," a song that had been recorded by Mildred Bailey back in 1937, and had also been done by Hadda Brooks, Rudy Richardson, Bullmoose Jackson, and Louis Jordan. The disc was reviewed the week of February 16, with "Shrimp Boats" receiving a "good" rating, and "Trust In Me" only ranked as "fair." Sonny's next solo session took place on March 11, 1952, when he recorded "No Other Love" and "The Night Has Come." 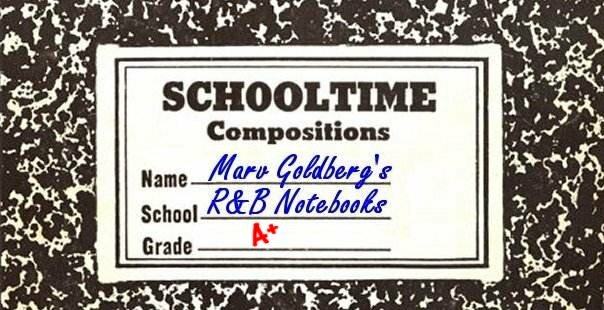 The next day, the whole group was there to record "Don't Stop," "I Promise You," "My Baby's Gonna Get It," "Baby I Love You So," and "Once Upon A Time." They needn't have bothered; that was a total of seven songs that Jubilee never released. 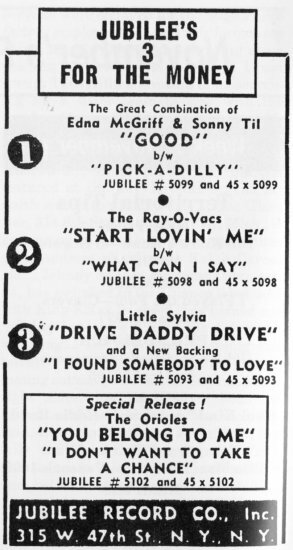 Jubilee did release a couple of Sonny's solos in March 1952 ("Proud Of You" and "You Never Cared For Me"), but the label copy billed them as "Sunny Til" and the ad trumpeted "Sunny (Orioles) Til." You'd think after all these years, Jubilee would know his name. In spite of that, both sides got good reviews. Then, on April 1, 1952, it was back to the studio for "I Don't Want To Take A Chance," "Wanted," "I'm Beginning To Think You Care For Me," "Don't Keep It To Yourself," and, one of their most interesting sides, a pairing of the Orioles and Jackie "Moms" Mabley on the standard, "Yes, Indeed." This wasn't rehearsed, they were just thrown together at the spur of the moment. Also in April, Jubilee released "It's Over Because We're Through," backed with "Waiting." On April 25, the Orioles, Danny Cobb, and the Paul Williams Orchestra began a tour from Youngstown, Ohio. Going as far south as New Orleans, it wound up 20 days later in Pittsburgh. ("Barfly"): Orioles are not very exciting on this new weeper ballad, though the lead does an effective job—side may get spins (70). ("Tired"): The boys come through with a strong reading on this new jump item that they sell with style and a good beat. Side could pull coins (75). Also in May, the Orioles sued Alan Freed for $50,000. The suit (reported in the May 13, 1952 Akron Beacon) claimed that Freed had falsely advertised that the Orioles would be part of his March Coronation Ball (the one that ended in a riot). As is usual in cases like this, an interesting tidbit is reported and then never followed up, so that we don't know the disposition of the case (which, I'm sure, was either dropped or settled out of court for a much smaller sum). I'm also sure that, if the Orioles had anything at all to do with the suit (and not just some lawyers), they never saw a penny of any settlement. 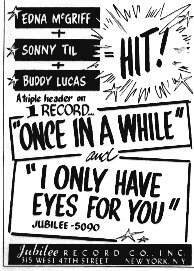 On June 11, 1952, Sonny Til was paired with 16-year-old Edna McGriff, another Jubilee artist, to record a half dozen duets: "I Only Have Eyes For You," "Once In A While," "Good," "Piccadilly," "That's How I Feel Without You," and "Lovebirds." Back in April, Edna had had a smash R&B hit with the Korean War lament, "Heavenly Father." However well-intentioned the pairing might have been, their voices didn't blend all that well, and none of their duets ever charted. Jubilee released "I Only Have Eyes For You"/"Once In A While" in July; both sides received excellent ratings the week of July 19, but the fans weren't buying. On July 11, the Orioles kicked off a week at Weeke's Cafe, in Atlantic City, with Charles Brown and his Orchestra. Right after that, it was into the Howard Theater (D.C.) for a week with the Paul Williams Orchestra and the Oscar Peterson Trio. Then it was back to New York for their next session on July 28, at which they recorded "Don't Cry Baby," "See See Rider," and "Till Then." 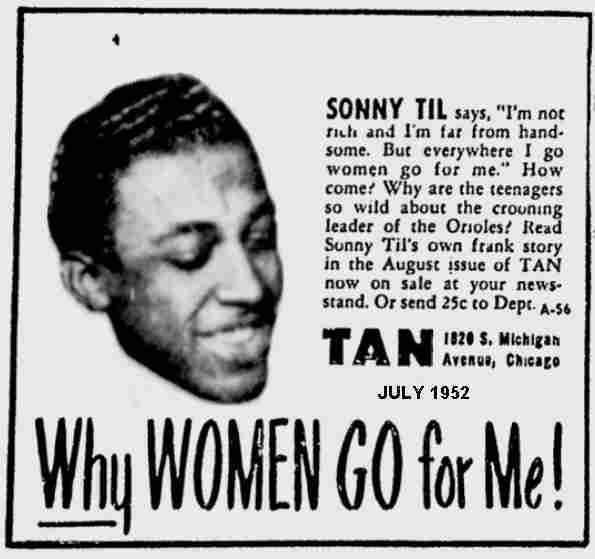 The August 1952 issue of Tan Confessions magazine had an article entitled "Why Women Go For Me," ostensibly written by Sonny Til. It's basically a puff piece, but it did keep his name before the public. ("See"): The Orioles and the Buddy Lucas Ork combine to hand the ditty a solid reading featuring a pushing beat (79). ("Don't"): The plaintive ballad is chanted with persuasion by the group. Good weeper blues wax (78). The Orioles played New Haven's Storyville Club the week beginning September 19, 1952. After that, they appeared for a week at Philadelphia's Earle Theater, starting on October 3. The morning of the last day at the Earle (October 9), the guys went to the Reco Art Studio (in Philadelphia) to record a single tune, a cover of Jo Stafford's "You Belong To Me." This was the only time, in their stay with Jubilee, that the Orioles didn't record in New York. It was probably due to them having been held over for another week at the Earle (this time with Erskine Hawkins), and Jubilee wanting to be able to compete with Jo Stafford. ("Belong"): The group works over the pop hit in schmaltzy style. Not their best effort, though their fans will probably take to it (74). ("Chance"): Resonant vocalizing and a flexible beat mark this reading of the ballad. An okay effort (69). 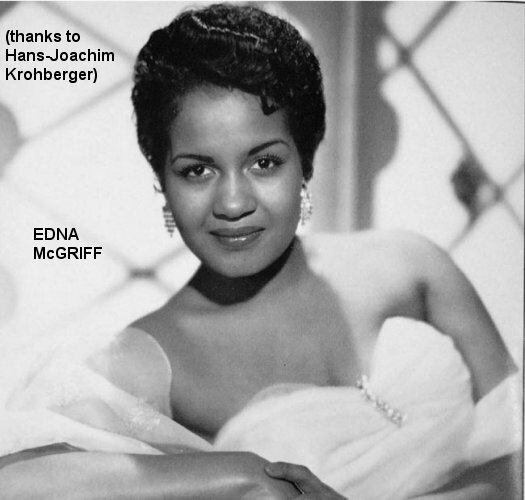 October 1952 also saw the issue of another pair of Sonny Til/Edna McGriff duets: "Piccadilly"/ "Good." They both got good reviews the week of November 1, but the public still wasn't buying. On November 11 and 12, the Orioles appeared, with Fats Domino, at some dances hosted by Emmy Lou Dukes, a DJ on WMCK, Pittsburgh. Early December found the Orioles at the Club Riviera in St. Louis, along with Ruth Brown, the Spence Twins, and the Georgie Hudson Orchestra. 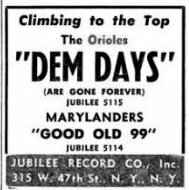 On December 21, 1952, the Orioles recorded "Hold Me, Thrill Me, Kiss Me" and "Teardrops On My Pillow." Then, during Christmas week, the Orioles, Edna McGriff, and Jubilee's Buddy Lucas Orchestra did a series of one-nighters in New York, New Jersey, and Pennsylvania. ("Till"): Another good rendition (73). Sometime in February, 1953, Sonny Til recorded some more solos. They were "Congratulations To Someone," "(Danger) Soft Shoulders," "Have You Heard," and "Lonely Wine." 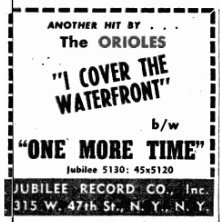 Probably within a week or so, the Orioles were back in the studio too, doing up "Bad Little Girl," "Dem Days (Are Gone Forever)," and "One More Time." There was also a fourth tune, but the tape has been lost and the title is unknown. These were probably recorded when the Orioles were at the Apollo the week of the 13th. ("Teardrops"): This is good coverage on the likely new ballad and could get some action (70). On February 22, the Orioles, along with the Paul Williams Orchestra, appeared in Detroit. The two acts then drove down to Texas for a week's worth of work. After that, the Orioles teamed up with Fats Domino for a series of one-nighters that would last through the middle of March. Then they were off on a 22-day trek through the south, ending on April 6. Also in February, Jubilee released a couple of Sonny's solos, "Have You Heard"/"Lonely Wine." They both got good reviews the week of February 28. ("Days"): Strong beat set by the group lends excitement to their rhythm warble about the good old days. A cheerful waxing that should earn spins. Fine for the boxes [juke boxes] (83). ("Bad"): Mournful, dirge-like blues is capably sung by the group (75). We weren't getting along too well in the group; the group and George. George had a little problem about drinking and in not making rehearsals on time and wanted to do what he wanted to do instead of what the group needed to do as a group. So we had to let George go for a while. He rejoined us again. Well, he left a couple of times. The last time he split, he didn't come back and I got Gregory Carroll to take his place. Before that we just didn't have a second lead, just a straight lead, and Ralph did the harmony. Onstage you'd never know George was drinking. He held it. He drank—religiously-—but you'd never know it onstage. And after he left, I saw him one time and he really looked bad. We were coming down from the Apollo Theater and my wife was with me. She said "that fella knows you." I looked around and it was George. He left on his own. I don't remember for what reason, 'cause that whiskey tells you to do some things sometimes. George never missed no time. He might be loaded when he got there, but he'd do his work. He left with no explanation. He just said "I'm gone." John "Gregory" Carroll, George's replacement, had been the second tenor of Baltimore's 4 Buddies, and thus knew the Orioles well. Gregory is first heard, as echo and second lead, on "Don't You Think I Ought To Know," the flip of "Crying In The Chapel." Says Johnny: "We had a bit on stage where Sonny would shout at Gregory, and Gregory would jump up in Alex's arms like Sonny had frightened him." Greg's nickname was "Killer," because: "the girls would take off after Gregory and Sonny, and I'd sneak out and be gone." ("Time"): This one sounds like a re-write of some spiritual material. The lyric is blues and the boys tackle it with a beat and deliver a fairly strong reading (76). ("Waterfront"): The group tackles the oldie, but results are not as strong because of a lack of highlights. It's all just a bit too even in all respects (69). Another June event was the issue of two more of Sonny's solos: "Congratulations To Someone" and my favorite, "(Danger) Soft Shoulders." They were reviewed on May 9, with "Danger" receiving a "good" rating, while "Congratulations" only got a "fair." The final June event was their cover recording of Darrell Glenn's "Crying In The Chapel" (written by his father, Artie Glenn) on June 30, along with "Don't You Think I Ought To Know," "Maybe You'll Be There," and "Drowning Every Hope I Ever Had." On July 3, 1953, the Orioles and the Paul Williams Orchestra began a series of one-nighters in Louisville, Kentucky. It would end up in Cincinnati on July 14. ("Chapel"): The Orioles have here what is undoubtedly the strongest record in the past two years, and one of the strongest R&B discs released in the past few months. The tune is the serious ditty now getting action in the country and pop markets and the boys hand it a powerful rendition, full of feeling and spark by the fine lead singer. This could be a big, big hit (88). ("Know"): Here too, the boys come through with a fine vocal on an appealing ballad, once again led forcefully by the strongest lead. Though the action will be concentrated on the flip, this side should not be overlooked. Two fine renditions by The Orioles (80). My mother [Ella] didn't want me to record "Crying In The Chapel" because it's a religious tune. My father [Charles Tilghman] was a painter, plumber, plasterer. My parents were active in the church choir. I never sang in the choir, but I was always around them. From July 19th to the 25th, the Orioles were at Kansas City's Orchid Room. Then, on July 31, they hooked up with Fats Domino again, for a tour that began in Oklahoma City and ended, on August 18, in Amarillo, Texas. By the middle of August, "Crying In The Chapel" was a monster hit all around. Charted versions were by June Valli (pop), Darrell Glenn (country), Rex Allen (country), and the Orioles (R&B). There were also versions by the 4 Dukes, Ella Fitzgerald, and Rosetta Tharpe. They estimated that total sales of all versions had already topped the million mark. 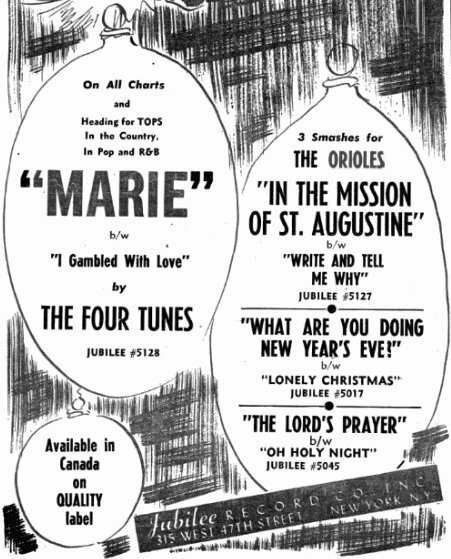 On August 14, 1953, the Orioles recorded "In The Mission Of St. Augustine" and "Write And Tell Me Why," however neither of these takes was ever issued. They returned to the studios on September 11 to re-record both songs, which were released that same month. "Mission" became the Orioles last national hit, reaching #7 on the R&B charts in its 4-week run. The disc was reviewed the week of October 3, with "Mission" getting an "excellent" rating, and the flip a "good." On August 21, on the strength of "Crying In The Chapel," the Orioles headlined at the Apollo Theater for a week. Also in August, "Crying In The Chapel" entered the R&B charts, where it would remain for 18 weeks. This was the third (and last) Orioles record to eventually reach #1, but unlike the first two, it stayed on top for 5 of those weeks. Later that month, it entered the Pop charts, remaining for 10 weeks and rising to #11 (a truly amazing feat in those days). It was around this time that Gregory Carroll received his draft notice. He was supposed to go to Baltimore for his physical, but instead, he went to New York and called the Baltimore draft board, asking them to send the paperwork to New York. This was a shrewd move on his part, since New York had filled its quota and wasn't taking anyone at the time (the Korean War's armistice had just been signed on July 27). Sometime in the early summer of 1953, Ralph Williams left the group. There's an advertisement in the December 19, 1953 Cleveland Call And Post for "Ralph Williams and the 4 Notes and a Tune—formerly of the Orioles." He appeared at the Pla-Mor Ballroom, along with Clyde McPhatter and the Drifters. The next day, both acts would appear at the Paradise Auditorium. Ralph's place was taken by Chauncey "Lord" Westbrook (although Johnny couldn't remember him at all). He'd been with Clyde McPhatter's Drifters for a "hot minute" and would go on to appear with the Blenders for a while. However, it didn't take Chauncey too long to get into trouble: after only around two months with the Orioles, he was arrested (on September 25) for marijuana possession, when the group was about to appear at Baltimore's Royal Theater; he was held on $3000 bail.. "Meanwhile the show went on with a substitute from another singing group filling in for Westbrook," said the October 3 Afro-Amreican. While the two-year sentence was suspended, said the October 22 Jet, Westbrook was told by the judge to "stay out of Baltimore." On November 2, the Orioles began a one-week engagement at the Orchid Room in Kansas City. November 13 found them in Little Rock, Arkansas, where they joined a Shaw Artists package tour for the rest of the year. The others on the tour were Faye Adams, Mr. Stringbean, and the Joe Morris Orchestra. There was a December session which produced "Robe Of Calvary" and "There's No One But You." Those sides became the Orioles' January 1954 release. It was reviewed on January 16, with "Robe" receiving an "excellent," and "No One" getting a "good." On New Year's Eve, the Orioles appeared at the Merrymakers Dance at the Hunts Point Palace in the Bronx, New York. Lasting from 10 p.m. to 6 a.m., others present were jazz pianist Thelonious Monk, Ursula Reed, and Eduardo and his Mambo Orchestra. January 15 saw the Orioles return for another week at the Apollo Theater. While they were in town, Jubilee set up another session for them. "Secret Love" (a cover of the hugely popular Doris Day tune), and "Don't Go To Strangers" were recorded on January 29, 1954. This pairing was released in February, and by March 20 was a Pick Of The Week, doing well in New York City, Buffalo, Milwaukee, St. Louis, Richmond, Nashville, Durham, Detroit, Atlanta, Los Angeles, Cleveland, Philadelphia, and New England. Ralph's Williams' private venture didn't last too long, and Johnny remembers him "hopping around" during the session for "Secret Love." On February 1, the Orioles began a two-week tour of Alabama, Georgia, and Florida, in the company of the Joe Morris Blues Cavalcade (featuring Faye Adams and Al Savage). The package then swung out to the midwest. Hopping out to the west coast, the Orioles played Billy Berg's 5-4 Ballroom (in Los Angeles) on March 20, and then spent 25 days at the Down Beat, in San Francisco (from March 21 to April 14). In May 1954, Jubilee released "Maybe You'll Be There"/"Drowning Every Hope I Ever Had." Both sides were rated "excellent" on June 5. Whereas once the Orioles seemed to be recording every few weeks, their next session wasn't held for five months (on June 29). Then they only recorded two songs: "In The Chapel In The Moonlight" (a song that was starting to make a lot of noise for Kitty Kallen) and "Thank The Lord! Thank The Lord!" These were released in July, and reviewed on July 24, with "Chapel" receiving an "excellent" rating and "Thank" getting a "good." On July 4, 1954, the Orioles celebrated at a picnic sponsored by Newark's WNJR. Running from noon to 2 a.m., the show also featured Roy Hamilton, Luther Bond and the Emeralds, Big Maybelle, Larry Darnell, Bull Moose Jackson, Joe Liggins, the Dreams, Nappy Brown, the Orchids, Varetta Dillard, the 4 Bells, the El Tempos, and Duke Anderson's Orchestra. All this (and ants too) for only $1.50! Then, the Orioles appeared as part of the second annual "Star Night," in Detroit on July 23. Put on by promoter Bud Arvey, others on the bill were Perry Como, Nat "King" Cole, Patti Page, Ray Anthony, Sarah Vaughan, Julius LaRosa, Ralph Marterie, Homer and Jethro, Jill Corey, Archie Bleyer, Roy Hamilton, Charlie Applewhite, Leo De Lyon, and Mitchell Ayers. The next day, the same show was held at Soldier Field in Chicago, and the day after that in Cleveland. The review of the Chicago show related a two-mile traffic jam trying to get to Soldier Field, poor sound quality (since the show was outside), and the inability for anyone to actually see the acts (since the closest of the 75,000 seats were about a half-block away from the stage). It was reported that the biggest applause in this four-hour show went to impersonator Leo De Lyon and the song parodies of Homer and Jethro. The guys got one day of rest before hooking up with Joe Morris, Faye Adams, and Al Savage again for a series of one-nighters throughout the south. And then it was another week at Weeke's (in Atlantic City), from August 20 to 26. Another three months went by until the Orioles were back in the studio: on September 1, they recorded "Longing," "If You Believe," and "That's When The Good Lord Will Smile." The first two of these were issued in October, with both getting "excellent" ratings in the October 9 trades. September 20 found the Orioles at Gleason's in Cleveland. On October 1, they opened for a week at the Howard Theater (in D.C.), along with Annisteen Allen and Joe Morris. But even the work in New York got to be too much for Deborah. "I was tired; I wanted to stop. I didn't want to continue on like this. I called a meeting and told them how I felt." Fortunately, the guys appreciated the sacrifices she'd made over six years and they said "if that's what I wanted to do, I should do it." Deborah only briefly managed one other act: Randy Leeds, who had a single record on Roulette in 1959. Back in the studio on October 14, 1954, the Orioles recorded two cover records: "Runaround" (originally done by Teddy Randazzo and the 3 Chuckles) and Irving Berlin's "Count Your Blessings Instead Of Sheep" (as sung by Bing Crosby in the film "White Christmas"). Released in November, both got "good" ratings on November 13. November 12 saw the kick-off of Cecil Bowen's "Hall Of Fame" show in the midwest. 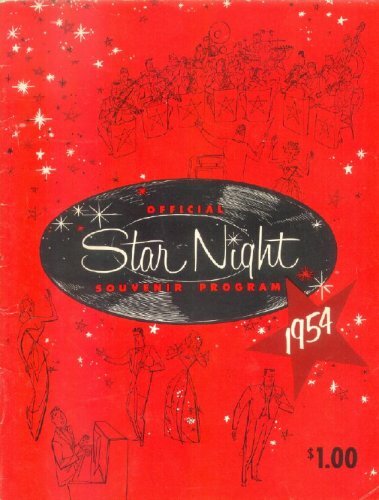 Scheduled for 10 nights, the show also featured Orioles' friends Faye Adams, Al Savage and Joe Morris, as well as the Spiders, Amos Milburn, Ursula Reed and the Billy Clark Orchestra. On December 3 and 4, the Orioles, Faye Adams, and Woody Herman's Orchestra played Richmond and Norfolk, Virginia. Also in November, Jubilee released an EP with four of the Orioles' best: "It's Too Soon To Know," "Tell Me So," "At Night," and "Forgive And Forget." 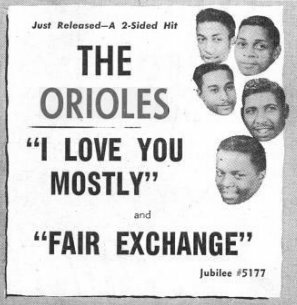 December 22, 1954, saw the Orioles back in the studio to record "Fair Exchange" and "I Love You Mostly," which were paired for a January 1955 release. The disk was reviewed on February 5, with "I Love You Mostly" being deemed "excellent," and "Fair Exchange" only "good." The Orioles headlined at the Apollo again, the week beginning December 31, 1954. They shared the stage with the Johnny Hodges Orchestra, Bunny Briggs, Margie Anderson, the 4 Comets, and Wilbur Kirk. There was a time when a lot of little groups came up who were living at home with their parents and a promoter would say, "I'd like to book you for a weekend for $100." And they would go. Subsequently, at $100 a group, you could get 10 groups for $1000. So they would get 10 groups and each one of them might have a fast-moving record or something a little bit different. So when we asked for a thousand dollars, they said they couldn't afford it. Originally, with Sonny, Johnny, George, Alex, and Tommy, the Orioles had been a partnership. After Tommy died, Ralph and Charlie were brought in on salary, not as partners. When Gregory joined, he was put on salary too, until the bookings started bringing in less and less. Since Greg was now making more then the partners, there was only one thing to do: make him a partner. On January 20, 21, and 22, 1955, the Orioles found themselves at the Riviera in St. Louis. On February 4, 5 and 6, they appeared at the 5-4 Ballroom in Los Angeles. They went over so big with the L.A. audiences, that they were held over for the next weekend too. The next Orioles session took place sometime in mid-February 1955, but the only song recorded was Deborah Chessler's "I Need You Baby." Then, in late February, when they had just finished an engagement in the midwest, Johnny Reed quit the group. The reason I left is we were supposed to break the money down and take care of the cars; after the cars, we split the money up evenly, all the way through to Deborah. She got the same amount that we got. There was no such thing as a leader's fee and all that; it was an even amount... My voltage regulator went bad and they wouldn't pay for it [about $200]. So I decided to go on home.... I think that was in Ohio. I just put my fiddle in the car. I just up and went. There was no dickering there. I didn't hang around, I just split. I told them "I'm gone. You won't have to worry about me no more." I don't know what happened to them. I started bartending in Newark, New Jersey. Actually, Johnny never saw any of them again, except for the one time when he ran into George Nelson. The replacement for Johnny Reed was Maurice "Tank" Hicks, who had been a sometime member of the 4 Buddies, with Greg. 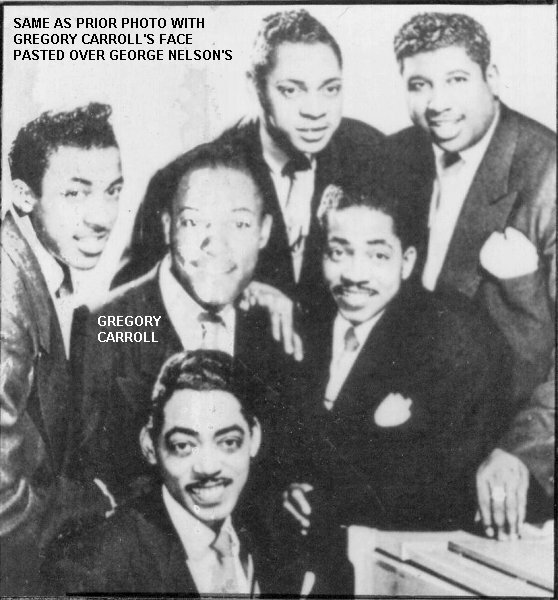 On the March 16, 1955 session that produced "Moody Over You," "Please Sing My Blues Tonight," "Cigareetos," "Sitting Here," and "Bring The Money Home," Sonny Til, Gregory Carroll, and Ralph Williams (who was probably singing) are there, along with Maurice Hicks. Greg said that Alex Sharp was there too, but Johnny Reed couldn't pick out his voice on the sides. 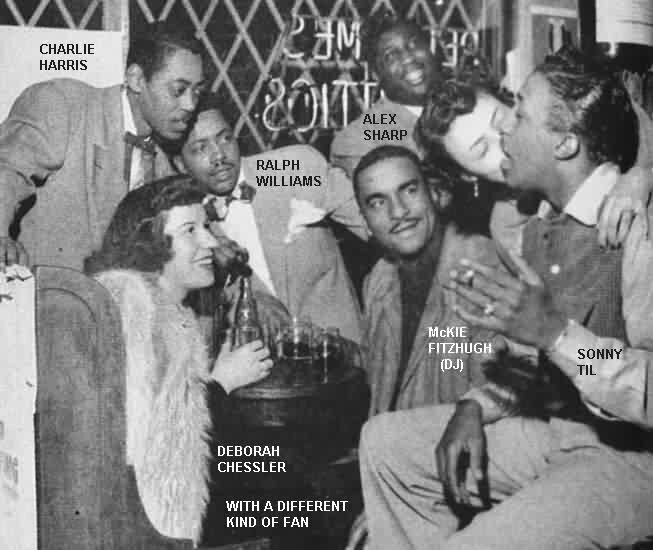 Ralph Williams and Charlie Harris decided to leave soon after this session, so the Orioles were left without any musical accompaniment at all. This meant that they had to hire a band, which depleted profits even more. Meanwhile, in March 1955, Jubilee had issued "I Need You Baby," coupled with "That's When The Good Lord Will Smile." They were reviewed on April 2, with both sided being rated "good." On April 2, 1955 they appeared at the Circle Theater in Cleveland in the "Pre-Easter Hit Parade Show." Other members of the cast were Buddy Griffin & Griffin Brothers, Claudia Swann, Al Jackson, and a local femme group, the 5 Spinsters. 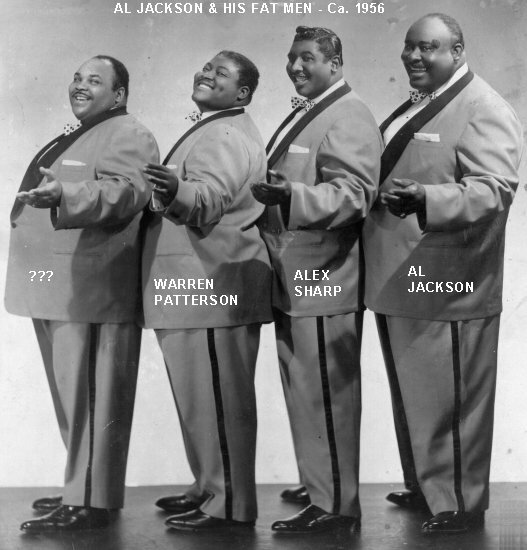 With the breakup of the Orioles, Alex became a tenor with Al Jackson's Fat Men, and then with the 20th Century Ink Spots (he was touring with them when he suffered a fatal heart attack on January 3, 1970). 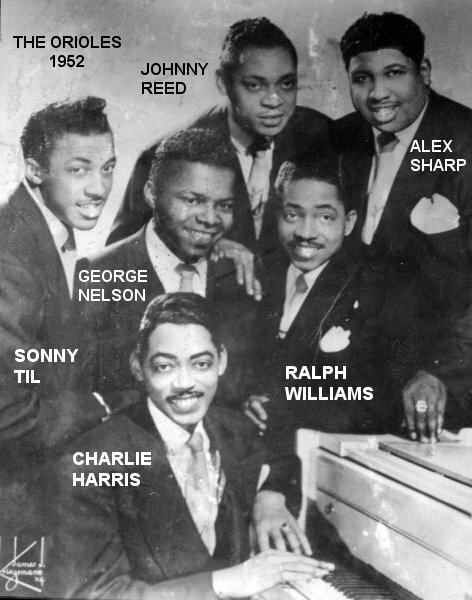 Johnny Reed also worked with some Ink Spots groups, and Ralph Williams went with the 5 Blind Boys as guitarist (then ended up back in St. Louis with his own guitar school). Gregory Carroll went into the production end of the business, but continued to do lucrative background work in New York, as part of the aggregations that Abel DeCosta (of the Cues) put together whenever he'd get a call from a recording company requesting background singers; Greg also formed the Dappers on Groove and Rainbow. So in April of 1955, Sonny found himself without a group. Although he'd done solo work before, he liked being part of a group. Now, a series of coincidences would create the second Orioles. By April 1955, they'd had two records (one on Aladdin and one on Atlantic), but neither was particularly successful. 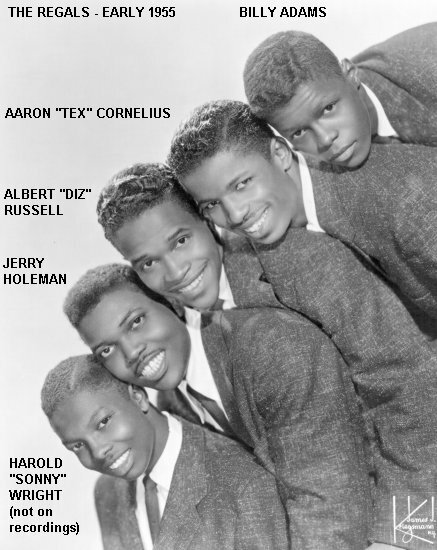 At the time, the Regals were Albert "Diz" Russell (bass/baritone), Jerry Holeman (baritone/tenor), Billy "Junior" Adams (baritone), Aaron "Tex" Cornelius (baritone/tenor), and pianist Paul Griffin. A sometime member of the Regals was Harold "Sonny" Wright (former lead of the Diamonds on Atlantic and future lead of the Metronomes on Cadence), but he never recorded with them (although he managed to be present at their only photo session). Sonny Til happened to be in the audience at the Apollo Theater when the Regals were appearing there, around May. 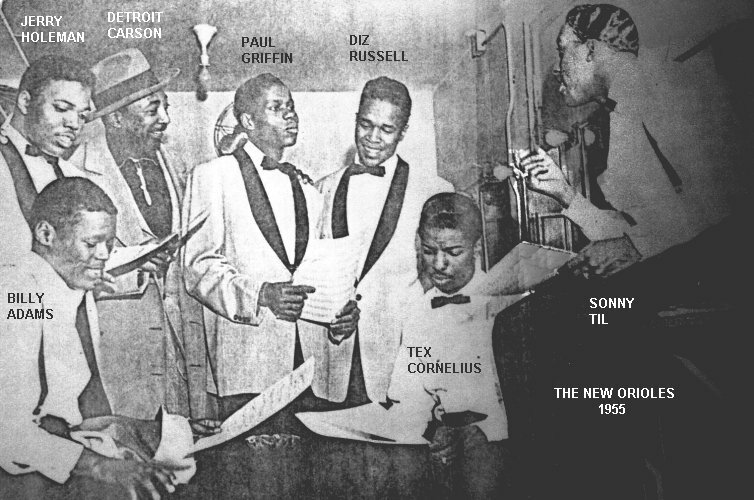 While there had been personnel changes, Sonny recognized Diz Russell, Tex Cornelius, and Jerry Holeman as having been part of the 4 Kings And A Queen. He approached them backstage and said he was still interested in learning modern harmony. Now, they could teach him while joining him as the new Orioles. They were willing (except for Sonny Wright, who wasn't really looked upon as a full-time member of the group). Actually, Tex Cornelius didn't really want to be part of it either, but he went along with the crowd. Sonny Til then spoke with their manager, Bobby Schiffman, who agreed to sell him the Regals' contract (especially since he wasn't having much success with the Regals anyway). Then, they all went down to Jubilee (at 315 West 47th Street) and signed a contract with Jerry Blaine. The Regals did something a little different, a different type of singing I had never done before. It was unique and new to me. I loved it because I had to learn it. A challenge. They taught me how to do modern harmony and it paid off , 'cause I can teach people how to do it now. I'd like to be the first black cat to sing with the Hi-Los. I can do it. After that, there were weeks of rehearsals, and very few gigs, as the Regals learned the Orioles' material, and Sonny learned how to sing like a Regal. Sonny agreed that it would be best if all their material were rearranged in modern harmony style. 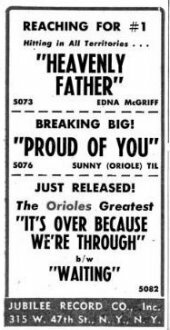 Therefore, if you went to see the Orioles in 1955, all their big hits would have sounded a lot different to you. Only a few appearances are listed for the Orioles in this period. Their first engagement was at an unremembered theater in Connecticut in the late spring of 1955. At the time, Sonny employed a former boxer, Detroit Carson, as a bodyguard for the group. The Regals were warned that if they wanted anything to eat or drink, they should tell either Carson or road manager Chester Smith, who would get it for them. Diz Russell didn't think there was any reason to have someone else get food for him and, going to the concession counter himself, had his uniform ripped to shreds by some of the Orioles' female fans. From then on, he let Carson or Smith handle the food orders. 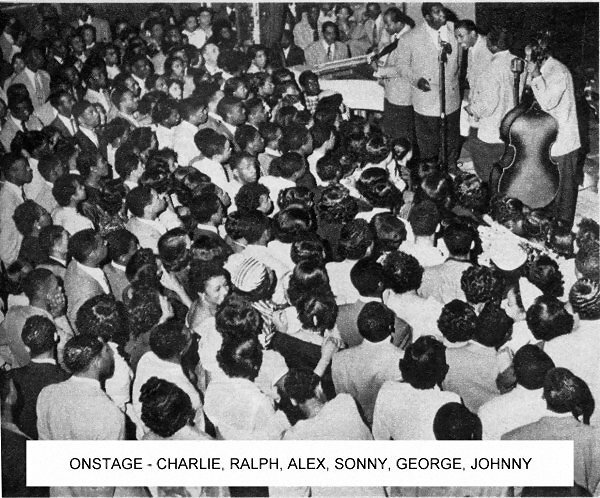 Then, they played the Uptown Theater (Cleveland) from July 1-4, along with Amos Milburn, Margie Day, the Metrotones, and Rudy Brown's Band. There was also the Crown Propeller Lounge in Chicago on July 13, followed by the Club DeLisa. 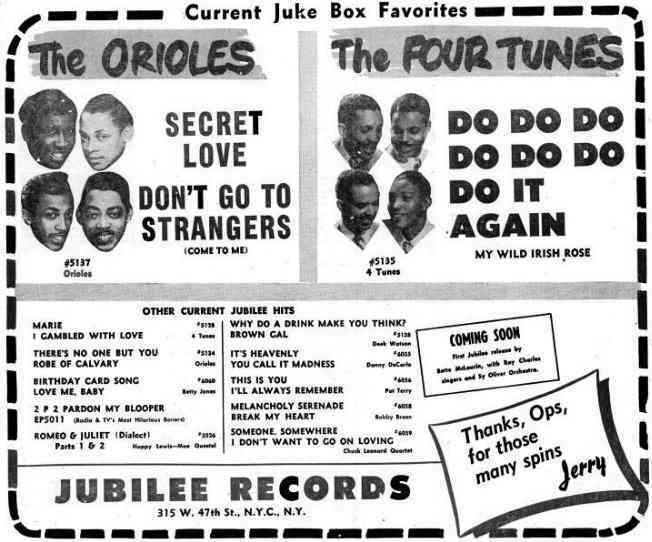 In October 1955, Jubilee issued the last two original sides by the "original" Orioles: "Please Sing My Blues Tonight"/"Moody Over You." Reviewed on October 29, they both received "good" ratings. To finish out the Orioles' Jubilee contract, the new group's only session for them was held on October 6, 1955. With Sonny in the lead, they recorded four sides: "Angel," "Don't Cry," "Sure Fire," and "Danger." Only "Angel" was released (in January 1956); its flip was a reissue of "Don't Go To Strangers." When the disc was reviewed on January 28, "Strangers" received a "good" rating, but "Angel" only fared as "fair." Billed as Sonny Til and his New Orioles, the group played the Chicago Theater for two weeks, starting October 14, with the Joni James show. On November 16, in Lake Charles, Louisiana, the Orioles became part of a 19-day touring package with Count Basie, Joe Williams, Ruth Brown, T-Bone Walker, the Jacks, and George Shearing (remember when he'd bested the Orioles back on the Arthur Godfrey Talent Scouts show in 1948?). The New Orioles played the Howard Theater the week of December 23, 1955, along with the Diablos, Sonny Boy Williamson, Al Jackson, and the Jesse Powell Orchestra. 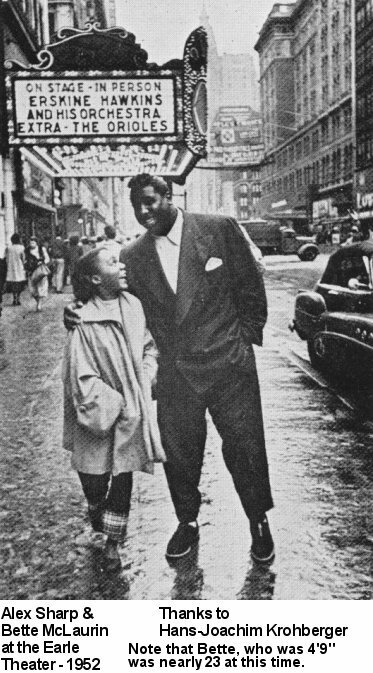 Then it was on to the Apollo the week beginning December 30, along with Della Simpson's Delltones, and Arnett Cobb. The week beginning January 27, 1956 found the New Orioles playing five theaters of the Korman chain in Detroit. The package included Dakota Staton, Nolan Lewis, the Flamingos, the Charms, the Sweethearts, and the T.J. Fowler Orchestra. The week beginning March 30 found the Orioles at Chicago's Regal Theater, as part of an Al Hibbler package show, which also had Della Reese and Eddie Heywood's Orchestra. After that, Sonny (who wasn't happy with the declining quality of the material they'd been recording lately) asked out of the Jubilee contract, and Jerry Blaine agreed. When the group played the Crown Propeller Lounge in Chicago, they reached an understanding with Vivian Carter, owner of Vee-Jay Records, who'd always wanted to record the Orioles. In May, Vee-Jay's Ewart Abner announced the signing of Camille Howard, as well as the Orioles. 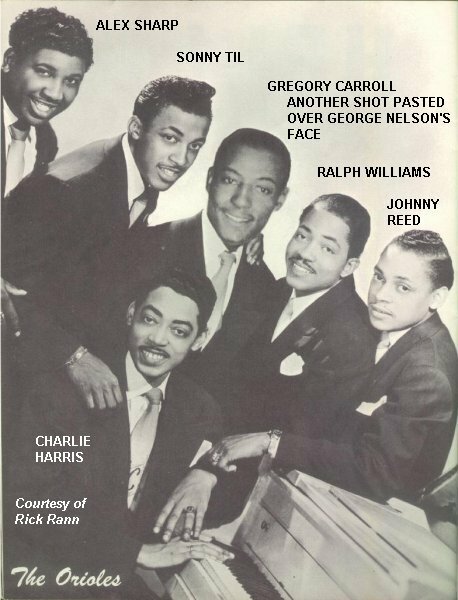 The June 19, 1956 issue of Billboard reported the signing of the group (a month after they'd done their first Vee-Jay session) with the notice that "Vee-Jay will push the boys as a pop act." Since she'd left the group, Deborah Chessler had gotten married and moved to Delaware. Like Johnny Reed, she'd lost touch with the Orioles, and never saw any of them again (until meeting Johnny at the Hall of Fame ceremony in 1995). In the spring of 1956, Sonny tracked her down and called to say the Orioles were going with Vee-Jay Records. "He wanted to know if I had any songs for them, but I hadn't written in years." Special thanks to Steve Applebaum, to Tony Barcia (for digging up reviews from the trade papers), and to Ferdie Gonzalez (for his discographical work).